SAN FRANCISCO and TORONTO — McKesson Corp. plans to acquire Canadian drug store operator Rexall Health from Katz Group for $2.2 billion ($3 billion Canadian). McKesson said Wednesday that the deal will strengthen its position in Canada’s pharmaceutical supply chain and is a natural step for the two companies, which have worked together for more than 20 years. “The acquisition of Rexall Health supports McKesson’s commitment to drive value in the industry by improving health care solutions delivered in the pharmacy. It enhances our ability to provide best-in-class pharmacy care through an expanded retail footprint for patients across Canada,” John Hammergren, chairman and chief executive officer of McKesson, said in a statement. Plans call for Rexall Health to become part of McKesson Canada within McKesson’s Distribution Solutions business segment, led by Paul Julian, executive vice president and group president. McKesson said Rexall Health will continue to have a dedicated management team in Canada led by current CEO Jürgen Schreiber, as well as retain its brand name. The purchase will bring Rexall Health’s 470 Rexall/Rexall Pharma Plus pharmacies, located in six provinces and one territory, to McKesson Canada, whose network includes approximately 2,000 independent pharmacies under various banners across Canada. McKesson noted that the addition of Rexall Health will help McKesson Canada drive growth along the entire value chain, especially in Ontario and western Canada, two of the country’s fastest-growing regions. Rexall Health is expected to bolster McKesson’s retail pharmacy capabilities and procurement scale, and McKesson Canada’s independent pharmacies stand to benefit from competitive pharmacy solutions and higher service levels. Other businesses operated by Rexall Health include Medicentres Canada, a group of family health care clinics serving Edmonton, Calgary, London and Windsor, Alberta, and Claimsecure Inc., which provides value-added health benefit claims management and plan administrative services to Canadian companies and other health plan sponsors. 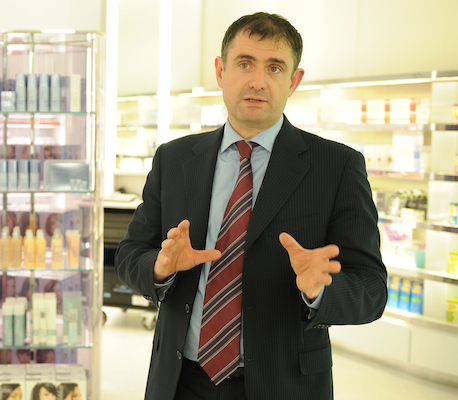 Last June, Katz Group incorporated the two health care businesses and the Rexall/Rexall Pharma Plus drug chain into a new operating structure called Rexall Health, led by Schreiber, a former CEO of Shoppers Drug Mart. “I want to thank everyone who has helped to make Rexall Health a success over the past two decades, including all of our current and former employees, our partners and above all our customers for their loyalty and dedication,” Daryl Katz, founder and chairman of Katz Group, said in a statement. The acquisition, subject to review under the Investment Canada Act and by the Competition Bureau of Canada, is expected to close late in calendar 2016. The deal is valued at $2.2 billion, or about $1.9 billion USD net of the present value of incremental cash tax benefits, McKesson said. 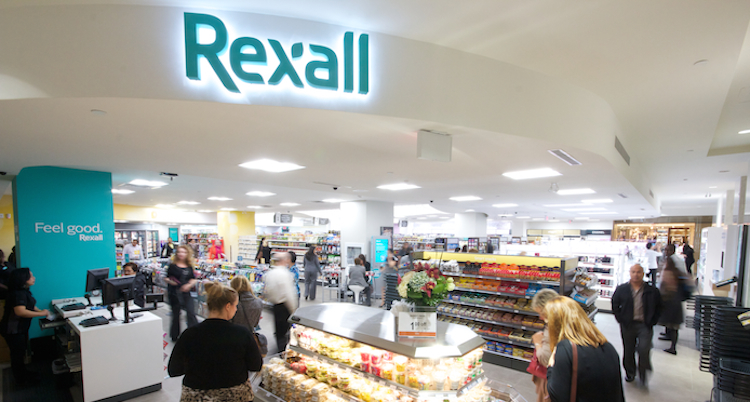 The sale of Rexall marks the second large retail drug store deal that Katz Group has struck with McKesson in recent years. In early 2012, Katz entered into an agreement to sell Drug Trading Co., its banner pharmacy business, and Medicine Shoppe Canada, its franchise pharmacy business, to McKesson for about $920 million.